Many people believe that by doing push ups, they are able to sculpt a better shape on their upper arm muscle. There are several advantages for doing push ups, it does not only strengthen your upper limb, it can also bring the same impact on the others muscle such as developing a killer abs. Therefore, various types of push up have been created for different goals. To challenge yourself in those different types of push up, first thing is you need to know the proper way to perform the standard push up. A lot of people make the same mistake when doing push up and waste all their effort even they perform 100 push up daily. Moving your head or only buttock up and down means nothing. 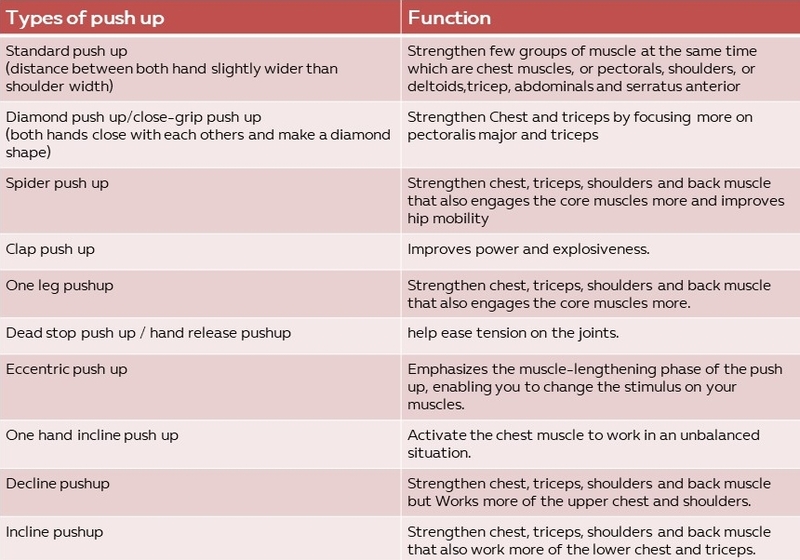 If you are already able to perform the standard push up perfectly, time to test your own ability by trying out a more advanced push ups in the table below. Some of equipment can be used to offer higher challenge for your push up. Girl used dumbbell as equipment of pushup. Unfortunately, most of the women have lower muscle power compared with to a guy. Ladies may begin their push up challenge with wall push up first, then slowly progress to push up with the knee on the floor before going for the standard push up. 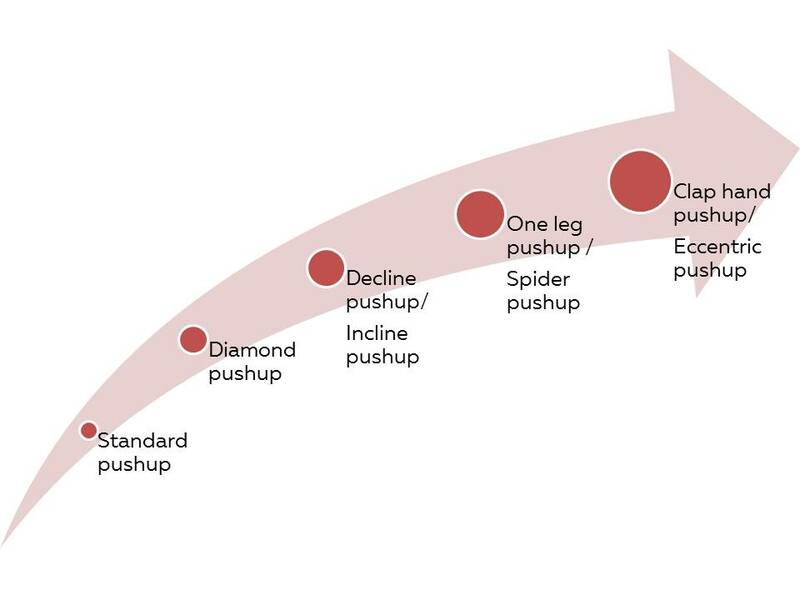 “Common types of Push up have been arranged according to their degree of difficulty "